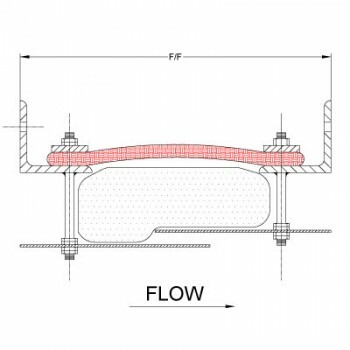 Hot to Cold Turbine expansion joints have a stainless steel or alloy steel framework on the hot side and a carbon steel frame on the cold side. 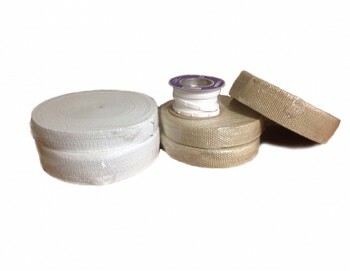 The two expansion joint frameworks are designed to accommodate two different bolt patterns and provide the required protection of the frameworks and outer composite belt. Drains can be added to accommodate water washing of the turbine or ductwork. 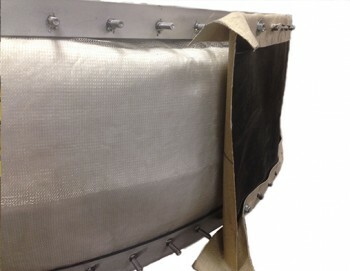 Internal liners can be welded to the hot side while they are typically suspended with rods on the cold side to provide an internal laminar flow surface. Flexible Specialty Products can provide flow liners, insulation bolsters, and sound protection to meet the demands of turbine gas flow. Our certified welders and strict quality control program will assure a well-constructed product will be delivered on-time and provide years of trouble-free service. Contact FSP today to discuss your application. Cold to Cold configurations use threaded rod to attach internal flow liners and no part of the mounting frame is subjected directly to the hot gas flow. 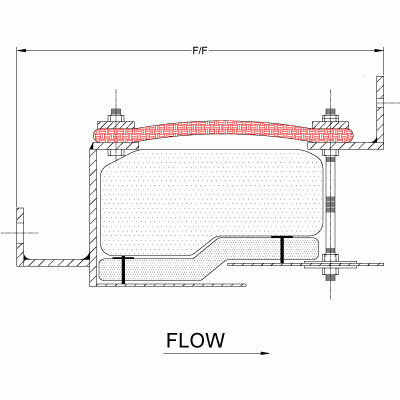 This frame type typically uses a carbon steel framework on each side with stainless steel flow liners. Both sides of adjacent ductwork have internal insulation and internal shrouds that tie directly into the expansion joint’s flow liners. 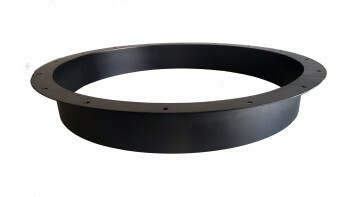 Hot to Hot type turbine expansion joints have frameworks on the upstream and downstream sides that are exposed to the full temperature of the gas flow. 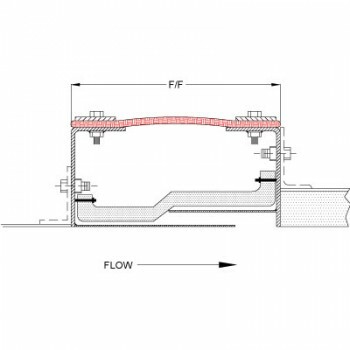 The upstream and downstream frames can accommodate two different bolt patterns as needed and are fabricated from stainless steel or other alloy designed to handle full design temperature. 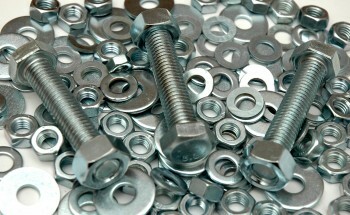 This type of framework can have many configurations that can allow slip-in installation or access to all fasteners for ease of maintenance.